SEO or Search Engine Optimization is a constantly evolving technique. With each single day passing by, search engines keep updating their algorithms to offer a better user experience. On one hand where traditional SEO involves keyword density and cheaply bought links, modern SEO is a proven and integrated digital marketing strategy. Businesses that earlier kept their SEO in-house are finding it complicated to come up with measurable success. These days, a modern keyword strategy calls for experience into content marketing, knowledge of Google’s ranking priorities and so on. This is only possible if you have 1-2 SEO experts in a marketing team. This is the reason why some of the brand are willing to join hands with a professional SEO Agency. Hiring an SEO firm can be troublesome. There can be two ways. Either, your partner will help you generate leads by growing organic traffic or they will engage in black hat techniques and leave you with less traffic than ever. However, when it comes to hiring, you just need to know about the important questions to hire an expert who matches your business level in positive ways. There are 3 major phases of SEO and the most effective one comprises all 3 as components of comprehensive SEO strategy. Technical SEO that considers code, website structure, speed and other metrics that could impact traffic. In a technical SEO interview, SEO professional makes sure that search engines crawl your website and its content, reviews 404 errors and analyzes redirects among other tasks. User Experience is the optimization of content of digital properties. In an On page SEO review, SEO experts will analyze user-facing aspects including the content, navigation and keyword optimization. Off page SEO that improves SEO presence by earning links and improving the property of online content. Modern SEO requires a holistic view so make sure that the SEO firm you hire can do all the three, i.e, technical, UX and off page. SEO does not come with a one-size-fits-all solution. 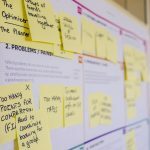 Your SEO partner must have some ideas as to how your business needs a unique approach. SEO for local business is helpful in attracting a large volume of customers. An SEO expert must understand the general approach to serve specifically to your niche. A planned, structured and effective SEO takes time. However, this should not prevent any agency or a SEO professional from quoting the time frame for results. In general, you can expect to view results within 6 months of getting started. The possibility of displaying up results also depends on the health of your website. For example correcting technical issues can lead towards SEO gains in a shorter period of time. But, if your website is structured well and free from any snag, you will have to wait longer to see a computable change. Don’t forget taking a smart move. 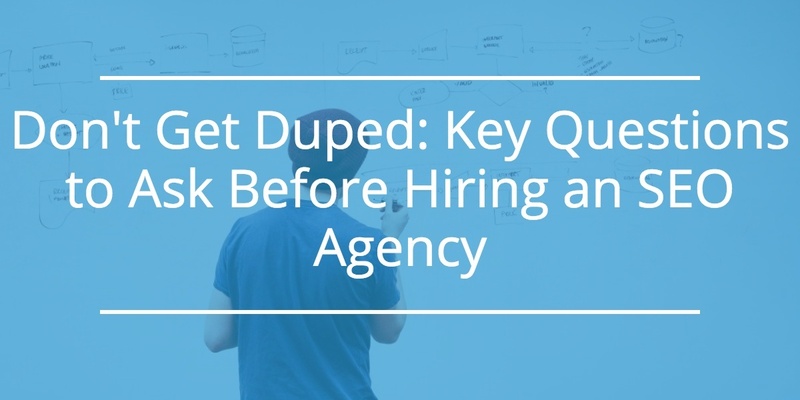 If your agency says that they will be delivering quick results, you need to ask them how. If they point towards the technical factors, it is a good sign but if not then you need to be a little cautious. They might be using spammy techniques that eventually get your website penalized. What is their approach for mobile? A mobile-first index is the priority of Google. This makes mobile optimization important as ever. Always opt for firms that have a process for conducting a mobile audit of your website. You also need to be pretty sure that your firm understands why mobile is important for SEO. What is your idea of conducting a keyword research? Earlier, keyword insertion was about writing a term in a Keyword research tool and framing a list of relevant keywords. Further, it involves developing content with keywords inserted at multiple places. However, with modern keyword research, extra time and effort are required. It involves understanding the user intent. It also helps in understanding what information a user is searching for in the web. While interviewing any SEO professional, you must know whether they take the user intent into account or not. For a good SEO, they should also involve the latest methodologies that determine keyword intent. If the whole conversation is centered around the number of searches for a keyword and keyword density, it is assured that they are operating outdated practices. SEO is a complicated domain. To offer quality results to searchers, it is important that an effective SEO is concerned more about the quality than with ranking aspects and quality of links. By answering these questions to an SEO expert, you will be able to achieve long-term success. If you have any other questions to ask to a SEO personnel, please let us know by commenting below. Author’s name works as an Digital Marketer at Webby Central, a renowned digital marketing firm. His skills and knowledge in business consulting and branding are trusted by many leading businesses. In the above post, he has made a note of some quick questions you need to ask before hiring an SEO expert for your business.